ROMANCE BOOK PARADISE: Meet the author of TREASURE ME, Christine Nolfi and a Giveaway! Meet the author of TREASURE ME, Christine Nolfi and a Giveaway! Today we will be meeting Christine Nolfi, the author of TREASURE ME! I can’t recall a time when I didn’t write. Poems. Short stories. Later, novels. After college I owned a small public relations firm but was always moving toward the day when I’d write novels. In 2004, I began writing fiction full-time. Like all writers, the journey began with an insatiable hunger to read. During childhood I used to wander through libraries drawing my fingertips across the spines of books. I felt like I was touching other souls, reaching into other lives I would only know through their words. 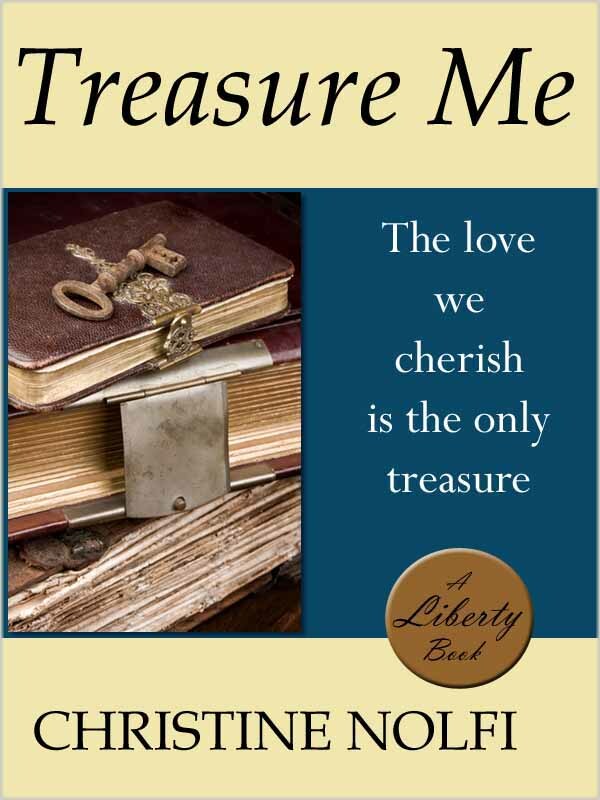 Treasure Me is the first book of the Liberty, Ohio series. The entire series is a contemporary blend of mystery, comedy and romance with the mysteries drawn from U.S. history. The story of Justice Postell, the freed slave from South Carolina featured in Treasure Me, is a major plot point in several of the books. Justice left behind more than a diary and several bags of rubies! Readers will learn that all of the women surrounding The Second Chance Grill have links to American history all the way back to the Revolutionary War. But don’t make me give away all my secrets. I’d rather let readers discover the fun on their own. I’ve also written several dramatic, stand-alone novels that will soon be released. The Tree of Everlasting Knowledge will appear on Amazon in August. Do you write in just one genre and, if so, what made you choose that genre? An editor in New York once described my novels as, “women’s fiction bordering on literary.” Some people view the Liberty books as romantic comedies. Or light mysteries. In reality, I think I write genre-blended books. I dislike the genre label, preferring instead to approach each work as a great story waiting to be told. What other books have you published so far and what are they about? 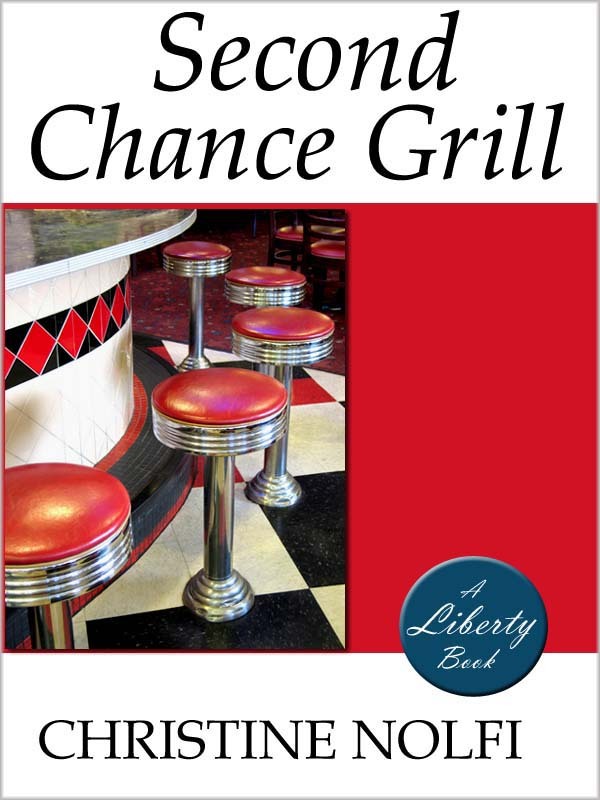 The next book in the Liberty series, Second Chance Grill, will appear on Amazon in late August. It’s actually a prequel featuring the love story between Anthony Perini and Liberty’s new doctor, Mary Chance. Readers will certainly learn more about the town’s most mischievous preteen, Blossom Perini. And readers will learn more about the amusing “bad blood” between Liberty’s gun-toting matriarch, Theodora, and fluttery Ethel Lynn. What is the biggest obstacle you have to overcome when you want to write? Knowing when to stop and rest is the biggest obstacle. I get utterly caught up in the character’s lives. During the first 100 pages it’s easy to conduct a normal 9-to-5 routine. By page 250, all bets are off. I wake in the middle of the night with half of a scene spilling from my subconscious and hurry to my computer. Midway through dinner I leap up to scramble for pen and paper because I’ve suddenly solved a story problem. It becomes rather silly, but my children and fiancé are very understanding. What are a few fun facts about your life? 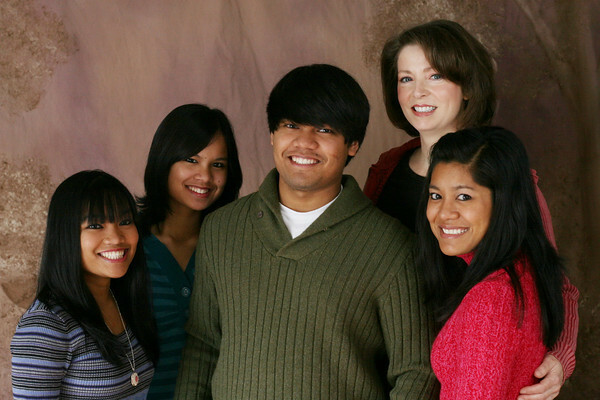 I adopted my four children—a sibling group—from the Philippines when I was on the edge of middle age. I’ve always owned animals, including a gosling I raised after it’s mother was killed. I love to cook and garden. After an unexpected divorce, I hid out for years raising my children and writing novel after novel. Then I mustered up the courage to try the dating site, Match, and found Barry. He’s the love of my life. 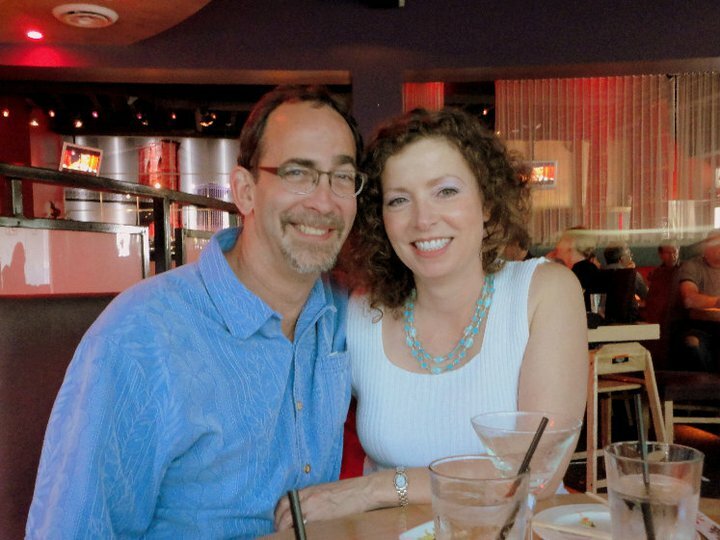 It’s amusing for a couple of fifty-somethings to get engaged at a time when we’re sending six kids through college. Life is full of surprises. Currently we’re selling our respective homes in northeast Ohio for the big move to Charleston, South Carolina in August. Which brings me to another fun fact: the Treasure Me plotline regarding freedwoman Justice Postell is loosely drawn from my own family history. My late mother’s family is of French and English descent. My French ancestors arrived in Charleston not long after the Revolutionary War. The history is sketchy, but they may have been plantation owners. Given that, I’ve always wondered if I have black relatives I’ve never met. This question is dear to my heart because my adopted children are Filipino and questions of skin color were common around the dinner table when they were growing up. I tried to portray in Treasure Me that “family” has nothing to do with skin color and everything to do with finding people you love, and who will love you in return. Where and how can your readers find out more about you and your upcoming books? I’d be delighted if they’d follow me on Twitter and visit my Blog. Readers can find TREASURE ME on Amazon. There's a copy of TREASURE ME today for one lucky commenter! Hi Nas! Thank you for hosting Christine! Christine, writing aside for a moment, I just want to say that I think it's beautiful that you adopted four siblings from the Philippines. Thank you for being there in their lives. Treasure Me sounds like a very interesting and well-crafted book. I like the characters you described in this post, and it definitely piqued my interest in your writing. I'll have to check it out. Thanks for coming by, I agree Chrisitne did such a beautiful thing by adopting four siblings. Congrats again for winning Wendy S Marcus's book, WHEN ONE NIGHT ISN'T ENOUGH! I hope you're following the tour, the links are on my sidebar just below the "followers" list! Chance to win a book at every stop! Hi Nas, Thanks for bringing us another fab author! Hi Christine! It's great to know you! Btw, I like your covers..simple, straightforward and bright ! Great to know about the adoption and kudos for taking such a brave step!! Congrats on your releases! What an amazing lady, adopting those kids! They are so fortunate there are people like you in the world! Nice to 'meet' you Christine. Treasure Me sounds like a fascinating book. Following you on twitter and checking out your blog. Howdy, Nas! Have a great day! It's so wonderful that you adopted siblings and that you found the love of your life. Your family pics are beautiful. Best wishes with all your book releases! I love historical fiction and will definitely be checking out TREASURE ME. Thanks for sharing your personal story too! Love the adoption program. What a fabulous woman to take on those four childrena nd keep them together. Beautiful. I'd really like to win this book to discover a new writer. Hello Trisha, thanks for coming by! Hi JL, thanks for the follow everywhere! Hello Rula, thanks for swinging by! Hello Jemi, thanks for coming by! Hi Sherri, I wish you all the best in the giveaway! Hi Rachel, thanks for your comment! Christine, all bests are off by page 250? I've been there! Thanks for the interview. It was really nice learning everything about her. Thanks for the opportunity. Nas, a thousand apologies for not responding sooner and, to all of you reading along, thanks for stopping by! Barry's house sold 10 days ago and we think an offer has come in on my house--we're busy getting ready for the move from Ohio to Charleston, South Carolina. Adopting a sibling group: Choosing to get on that plane to the Philippines 16 years ago was the best move I ever made. Was it easy raising four children who'd suffered abuse and neglect? No. Would I do it again? In a heartbeat. My oldest daughter, Christian, will enter a masters program next year. She wants to work for the government or at an NGO, like Unicef, that aids children worldwide. My son, Jameson, is thinking about a career in teaching. Marlie? She starts college this fall and wants to teach sociology on the college level. My baby, Marguerite, will be a high school senior this fall and wants to work as a cosmetologist. She's also a gifted artist, which is quite touching when you consider that she nearly lost her eyesight before two surgeries at The Cleveland Clinic saved her vision. I think of all four of my children as Miracle Kids. What a great intervies, thanks so much! Wow! You sold the house! Congrats! And welcome to my home on the web! You are an inspiration. Even reading your comment is so uplifting, my friend, you did a wonderful job of raising your four children to be the best human beings possible. Thank you, and all the best to you! Hi Christine. All the best with your books. They sound like exactly what I enjoy reading. I totally agree that family has nothing to do with skin and all to do with love. Nas, I'm not sure if my house has sold ... yet. I'm supposed to get an offer on Thursday. Fingers crossed. Tomorrow Salvation Army arrives: they run a rehab clinic in downtown Cleveland and I'm giving them 2/3 of my very large library. Nice to know the books will go to good use. Shelly, I couldn't agree more--family is about love, not the color of your skin. I hope I made that point in Treasure Me as readers become immersed in the interactions between Birdie and Theodora. Speaking of Theodora, wait until you see the fireworks she sets off in the third book of the series, The Impossible Wish. She takes on Birdie's infamous mother, Wish Kaminsky, to hilarious effect. I'd love to win the book! It sounds like a fun read. Is the competition open to foreigners? Yes, this competition is open to all! Thanks for coming by, you're entered in the draw. All the best! And I wanted to let you and all friends know that I'm promoting Author Wendy S Marcus on her Book promotion blog tour and there is a signed 2in1 book, a medical romance, WHEN ONE NIGHT ISN'T ENOUGH for giveaway on every stop! The links on my sidebar below the FOLLOWERS! Nas, I'm thrilled with all the comments. To everyone who's been reading along, a thousand thanks! Mystery, comedy and romance are a great mix for a book. Love the sound of Treasure Me. Great interview. What a fascinating post! How kind and generous to adopt the sibling group. I love that you are featuring indie authors here and thanks for joining 'The Smart Chicks Book Club' on goodreads. I am very happy to pick your book brain. You had me hooked from the moment I read "mysteries drawn from U.S. history." Thank you very much, Nas, for hosting Christine, and thank you, Christine, for taking time for an interview. Christine, you have an amazing life story! Your books sound like great reads. Christine's writing sounds like just my cup of tea -- I love romance, history and a laugh, and if I can find all three in the same place, done! Her own history and her family's history sound amazing as well--so great that those stories have informed the ones she writes! Great interview! Love the idea of mixing historical mysteries and romance. Today's winner for the Treasure Me e-book is Michelle Fayard! My gratitude and thanks go out to everyone who was kind enough to leave a comment. I'm busy working on the paperback release of Treasure Me, available in several weeks. The next book in the series, Second Chance Grill, will be available this autumn. Thank you all for reading along! Hello all my lovely friends, thank you for coming along to play! Thank you, Christine, for being here with us chatting.